Today marks the two hundredth anniversary of the birth of the most remarkable writer who has ever drawn breath: Emily Jane Brontë. On 30th July 1818, in Thornton near Bradford, she became the fifth child to be born to Patrick and Maria Brontë, and Anne’s birth a year and a half later would complete the brilliant, if precarious, family unit. How should we celebrate this most special of days? 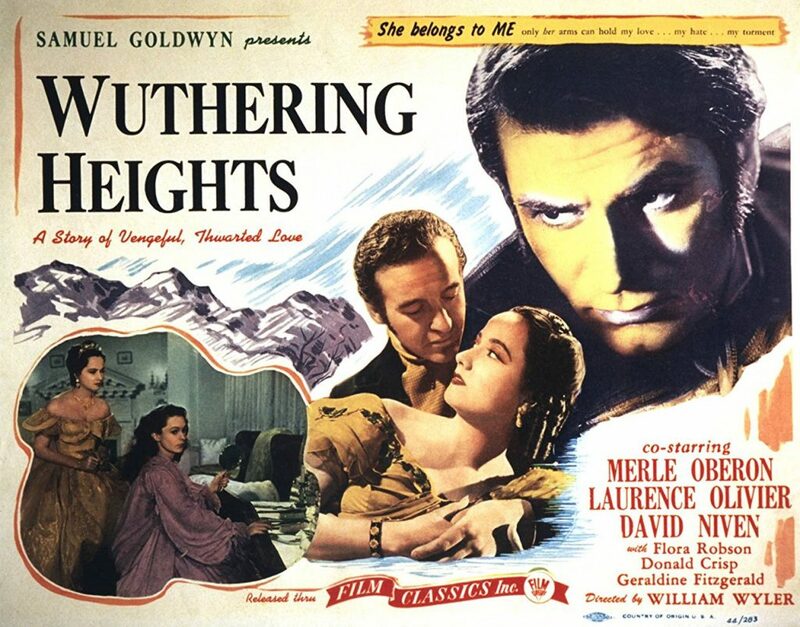 We could re-read ‘Wuthering Heights‘, in my opinion the greatest book ever written. We could dip in and out of her poetry, the verse that she was so passionate about throughout her life. We can simply spend a reflective moment thinking of this daughter of Yorkshire, but as alluded to in last week’s post, one newspaper has decided to celebrate it in a very different way. The Guardian’s attack upon Emily and the people who love her was as ludicrous as it was insulting, but it has been good to see people leap to her defence, such as in this post from the ever illuminating Brontë blogger Nicola Friar. On the 200th birthday of a woman who has brought to much love and happiness into my life, I must do the same. As today marks the 200th anniversary of the birth of Emily Brontë, a woman still celebrated and loved across the world. It’s understandable, therefore, that the media is taking a fresh look at Emily and her legacy, but it is quite clear that the Guardian’s intent was not to praise Emily Brontë but to bury her. The choice of Kathryn Hughes to write the appraisal would surely seem perverse otherwise, for here is a woman who admits freely that she dislikes Emily Brontë and that she has never finished her only novel, the sublime ‘Wuthering Heights’. It is the equivalent of a restaurant critic reviewing a meal they have never tasted, or a sports correspondent reporting on the World Cup final after following it via a Twitter feed, but worse than this are the factual inaccuracies and strange conclusions that litter the article, and it’s this that has prompted me to respond in print. I have loved Emily Brontë’s writing since I discovered ‘Wuthering Heights’ atop the reading list I’d been given in my first week at University. I was blown away by the book’s power and urgency, and a life long love affair with the Brontës and all their works had me in a vice like grip. 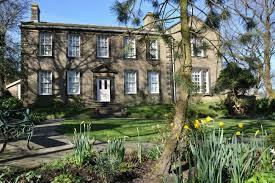 I was happy to be held there, and in subsequent years my admiration for Emily, Charlotte and Anne has only grown, which is why my latest biography, ‘Emily Brontë – A Life In 20 Poems,’ was a sheer pleasure to research and write. It was somewhat surprising therefore to read the Guardian’s assertion that ‘nearly all Emily Brontë’s biographers and scholars over the past century have been women.’ This is to discount seminal works by the likes of Edward Chitham, but worse than this it seems that the writer is using the championing of Emily by women writers to belittle her achievements, rather than seeing this as a cause for celebration. Visitors to Haworth are also sure to notice that women and men equally are drawn to the three literary sisters, so the Guardian’s claims seem either dispiriting or disingenuous. This poem, beginning ‘Cold in the earth – and the deep snow piled above thee,’ is better known by its title ‘Remembrance,’ and it is indeed a colossal feat of poetic composition. Hughes seems not only to have failed to finish ‘Wuthering Heights’ (which in itself is some achievement, as the book is not overly long and rattles along at a furious pace), but to be unaware of Emily’s outstanding verse output. Emily Brontë is without doubt one of the finest Victorian poets, and it is this poetry that led directly to the series of seven Brontë novels we love today. 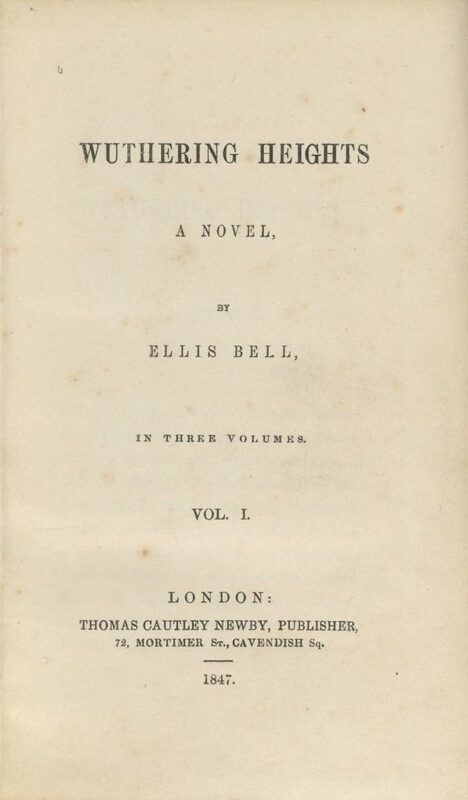 This discovery led, after initial protestations from the reserved Emily, to the first Brontë book to reach print: ‘Poems by Currer, Ellis and Acton Bell’, and from there it was a short hop to the Brontë’s first prose works. As Charlotte knew better than anybody, the genius of Emily in print was very different to the shy Emily of Haworth, but this aspect of Emily’s character is cruelly twisted by Hughes. As her experience at Roe Head school demonstrates, Emily could suffer severe anxiety when in strange company, and yet this condition (so serious that Charlotte worried it would lead to Emily’s death when at school) is openly mocked within the article. Emily is berated for staying at home, as if she had chosen this out of laziness, when as both Charlotte and Anne acknowledged she was actually working harder than either of them in overseeing domestic duties at the parsonage. This task had previously been the domain of loyal servant Tabby Aykroyd, but she was by then in her dotage and less than mobile after a leg injury. By taking on the majority of her tasks, Emily allowed Tabby to stay in the house she loved, and to retain her dignity. This was typical of the kind hearted Emily, rather than demonstrating a ‘self-interested’ streak as Hughes attests. Perhaps unsurprisingly the Guardian also choose to attach to Emily an epithet that they deem the worst insult of all – Tory. There is no indication, however, that Emily had any political inclinations whatsoever, and she certainly never made pronouncements on them or referred to them in her prose or poems. Emily Brontë deserves more than clickbait headlines and tiresome, shouty articles as she celebrates her two hundredth anniversary; she deserves our thanks and praise, she deserves to be read and understood. On this day let us simply say thank you, Emily Brontë – you were a brilliant wordsmith, a brilliant mind, a brilliant woman. Happy 200th birthday! You may be aware that a national newspaper yesterday printed a very disparaging article about Emily Brontë, ‘Wuthering Heights‘ and Brontë lovers in general. I’ve learned my lesson when it comes to getting angry in blogs, and I don’t want to give the article publicity it doesn’t deserve by putting a link to it. I will leave it there, other than to say that thankfully many Brontë fans have rallied behind Emily as we approach ever nearer to her 200th birthday. 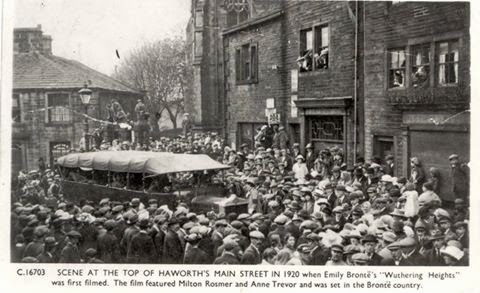 One thing the article looked at, although as unsuccessfully as everything else in it, was the attitude of famous writers to Emily, so today I’ll redress that somewhat by looking at four writers who visited Haworth. Elizabeth Gaskell was a great writer in her own right, and novels such as ‘North And South’ are a biting indictment of the class divisions and struggles in Victorian England. She also became a firm friend of Charlotte Brontë, but is perhaps most of interest to us as the writer of the first Brontë biography: ‘The Life Of Charlotte Brontë‘, published in 1857. It’s a very interesting book, and an excellent read, but it has to be said that it’s also a fairly controversial book, particularly in its portrait of Patrick Brontë. We should remember, however, that it was Patrick who personally asked Mrs Gaskell to write the book, and she visited Haworth to discuss the scheme with him on 23rd July 1855, just four months after Charlotte’s death. We should also remember that Elizabeth didn’t have access to much of the information we have today and that she was fed misinformation by a disgruntled ex-employee. Taking all that on board, it’s well worth a read, as it is after all the only biography by a woman who was close friends with one of the Brontë siblings. Gaskell fact: like Anne Brontë, she lost her mother when just a baby and was then raised by an aunt. 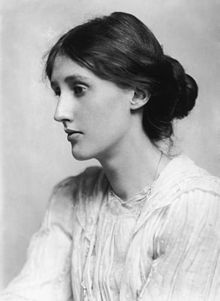 The Brontës and Elizabeth Gaskell were, of course, towering figures of mid-nineteenth century literature, but the woman who stands like a colossus in early twentieth century literature is Virginia Woolf. Born into a wealthy family as Adeline Virginia Stephen in 1882 she wrote a series of complex, sometimes confusing, yet dazzling books such as the powerful and touching ‘Mrs Dalloway’ and the time jumping, gender swapping ‘Orlando’. 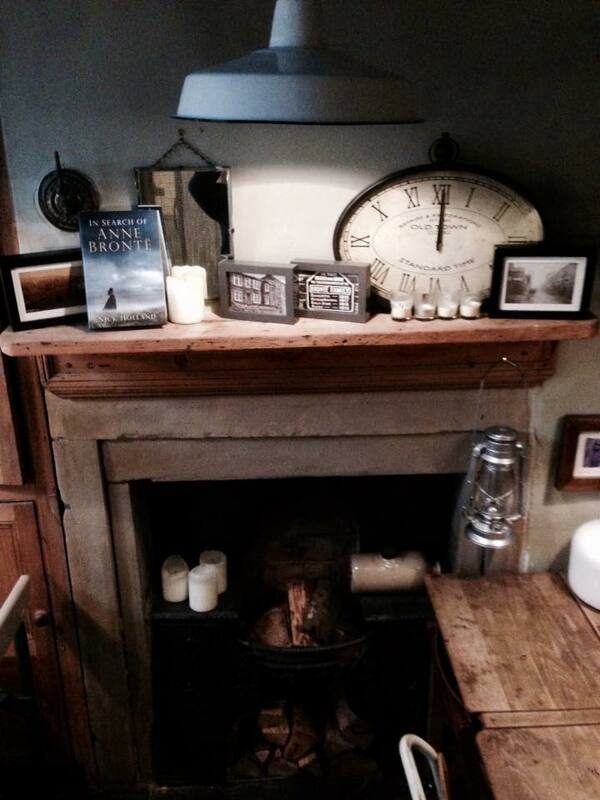 Woolf loved the Brontës, and in 1904 she visited Haworth and wrote an essay about her experience. It was her first piece of journalism to be published by a newspaper, ironically by The Guardian. Woolf fact: Virginia’s sister was the artist Vanessa Bell, whose portrait of Charlotte Brontë was recently acquired by the Brontë Parsonage Museum. 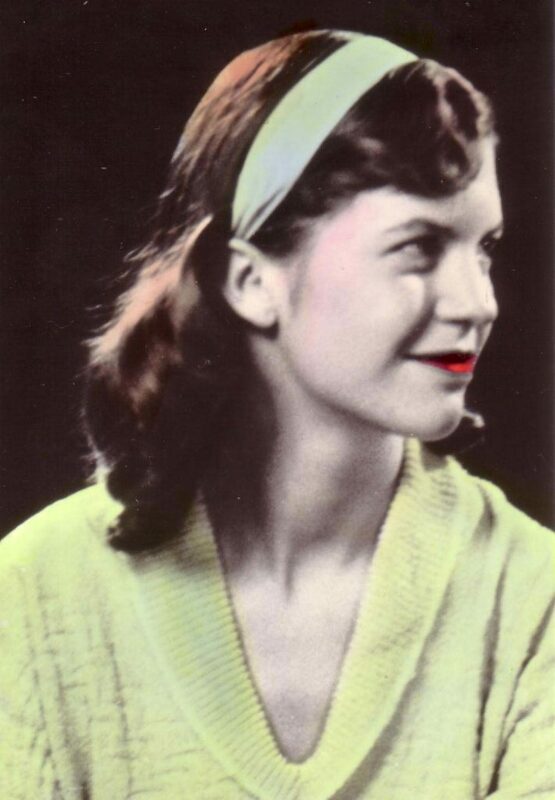 Another much lauded and much loved 20th century writer who was inspired by the Brontës was Sylvia Plath. Tragically, just like Virginia Woolf, Plath took her own life, but in her thirty years she produced incredible collections of poetry such as ‘Ariel’ as well as her brilliant and frank autobiographical novel ‘The Bell Jar’. She visited Haworth with her new husband Ted Hughes in 1956, having first met him at a Cambridge party earlier that year. It was, of course, a tempestuous relationship, but Sylvia never forgot Haworth, and wrote a poem entitled ‘Wuthering Heights’ in September 1961. Plath fact: Massachusetts born Sylvia is buried in Heptonstall churchyard, just ten miles from Haworth. You may know Mary Taylor as the child of the Red House, Gomersal who befriended Charlotte Brontë at Roe Head School and stayed a lifelong friend (although via correspondence, after Mary emigrated to New Zealand in 1845), but there was much more to her. Mary became a successful businesswoman in Wellington, and after returning to England in 1860 she became a writer and an early advocate of women’s rights writing many magazine articles on subjects including women’s suffrage and property rights for women. 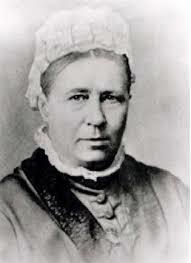 Finally in 1890, aged 73, she followed Charlotte’s example by publishing a novel. Entitled ‘Miss Miles, A Tale Of Yorkshire Life Sixty Years Ago’, it’s not up to the Brontë standards (but then again, what is?) but it can still be bought today and is well worth a read. Taylor fact: Charlotte Brontë sent £10 to her friend in New Zealand so that she could buy a cow. Haworth left its mark on these four creative, brilliant women, and the Brontës certainly left their mark on them. Thanks for bearing with me last week, there was no post as it was host renewal time and it took a little more sorting out than I expected. Normal service has now been resumed, and next week we’ll look forward to Emily Brontë’s birthday, and giving her the kind of tribute she deserves! 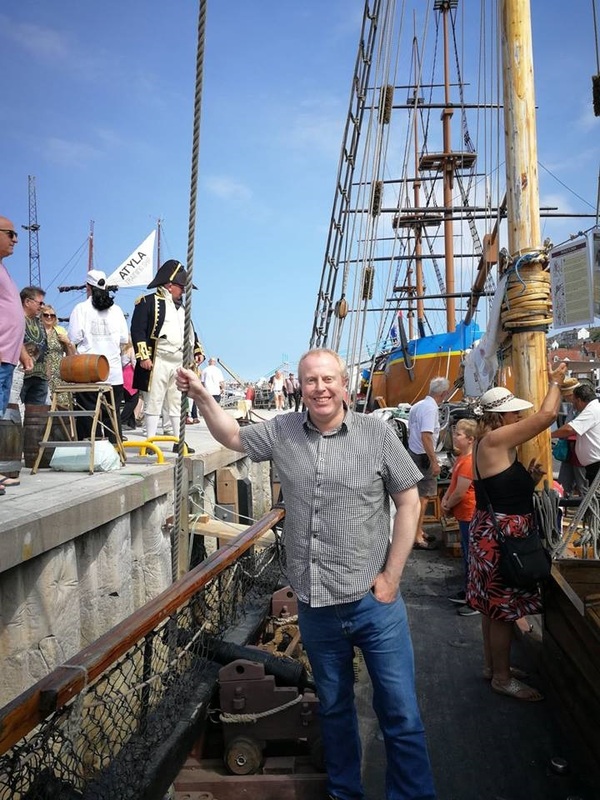 This weekend witnessed a special festival in Whitby to mark the 250th anniversary of a voyage of discovery by one of North Yorkshire’s most famous sons, Captain James Cook. The voyage was aboard his ship Endeavour, and left England in 1768. 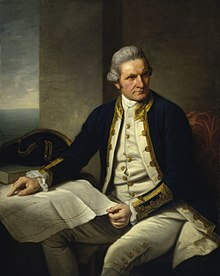 During two long voyages on HMS Endeavour he became the first European to map much of the South Sea and to discover New Zealand and Australia. Cook was doubtless an inspiration to his fellow Yorkshire natives the Brontës as it was their love of tales of exploration that had a huge influence on their childhood tales of Angria and Gondal. These tales, in tiny, intricate books led of course to the adult novels of the Brontë sisters that we love so much. The sea features heavily in Anne Brontë’s work, mainly in the form of the Scarborough coastline that she adored and which filled her soul in the same way the Haworth moors did for Emily. It is in Charlotte’s work, however, that we get glimpses of the perilous voyages that explorers like Cook embarked upon. 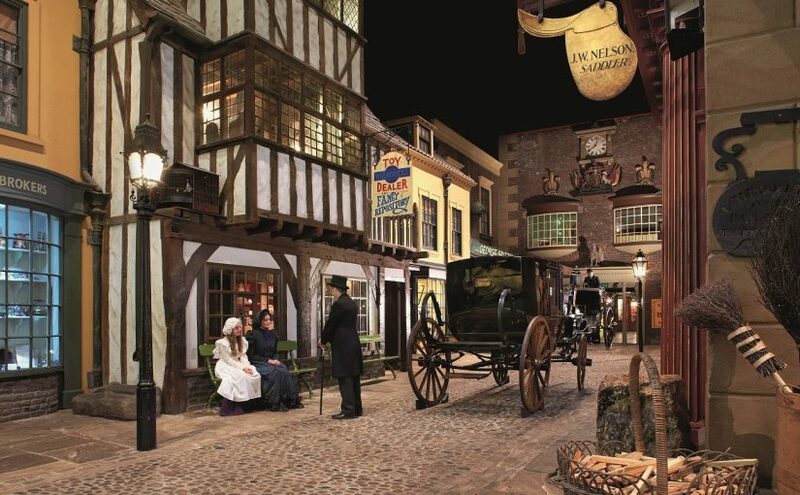 Jane Eyre’s uncle dies in far off Madeira and leaves her a fortune that transforms her life, whilst Rochester has brought more than gold back from the Caribbean. In ‘Villette’, the heroine Lucy Snowe’s love Paul Emmanuel is hinted to have died in a shipwreck, although in a brilliant plot device the reader is left to determine for themselves whether this was his end or not. 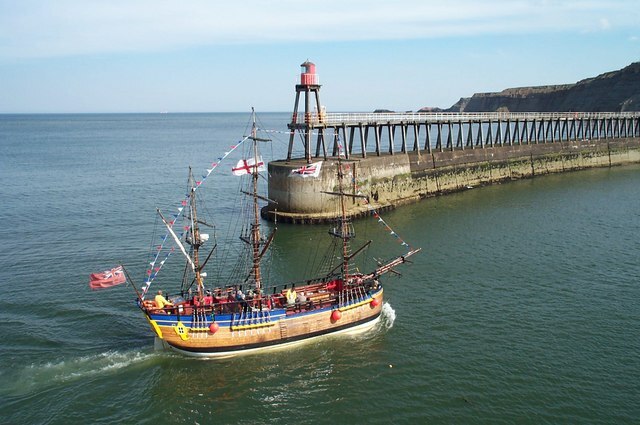 James Cook moved to Whitby in his late teens, and embarked upon a naval career that would see him achieve legendary status. 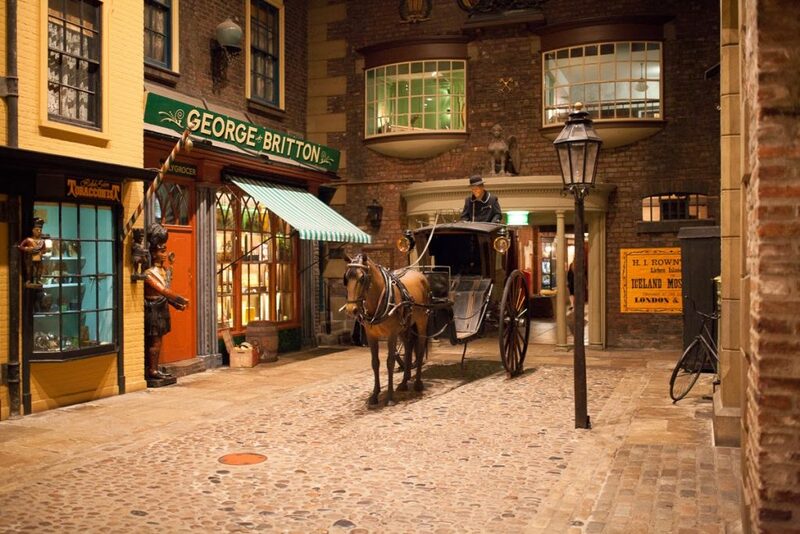 Whitby itself is around 20 miles north of Scarborough, but there is no record of Anne or the Robinson family she worked for as a governess, visiting it during her annual sojourns to the 19th century’s most fashionable seaside resort. I, however, visited it this weekend and was lucky enough to visit a replica of Cook’s Endeavour. There were other ships to see as well, including a sailing replica of HMS Pickle, a small top sail schooner that was part of the vast Battle of Trafalgar fleet that saw the death of Admiral Lord Nelson in October 1805. The Pickle was small but speedy, and nearing the English coast it spotted a fishing boat and passed on the news of the great war heroes death. The boat turned around and headed back into its port, and soon the whole of the town knew. A solemn crowd gathered to hear the news proclaimed from the Union Hotel on Chapel Street, and they then marched to nearby Madron Church. This was the first town in England to hear of Nelson’s death, and it was the Cornish town of Penzance. The Chapel Street proclamation, still re-enacted annually, was just doors from a home in which lived, among others, Maria and Elizabeth Branwell, who would raise the Brontë children as mother and aunt. Given the prominence of the Branwells in Penzance society, it is certain that these two women would have taken part in the march of 1805. Could it be that one Branwell in particular was heartbroken by this? Rumour has long said that Thomas and his cousin Elizabeth had been in love, (and after all Thomas’ brother Joseph and Elizabeth’s sister Charlotte married) and this may be why she then remained unmarried all her years. Could, years later, Aunt Branwell, in a tearful recollection, have told her nieces of how her love was killed in a shipwreck, and could this have inspired Charlotte Brontë’s ending to ‘Villette’? 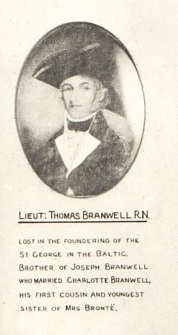 Charlotte, Emily and Anne Brontë never suffered death at sea like Nelson or Lieutenant Branwell, nor suffered the privations endured by the crew of HMS Pickle, nor encountered a grisly end at the hands of angry Hawaiian islanders (Captain Cook’s fate). No, sea exploration was not for them – they took on a deeper exploration, an exploration of the very depths of the human heart, the unbreakable strength of the soul, the incredible heights of love, the anguish of pain and loss; when we open their books, we can embark on the same incredible discoveries, and with all their tragedies and triumphs it’s an endeavour greatly to be desired. We saw earlier this week how June 29th was a momentous day for Charlotte Brontë, as it was the date on which she was baptised and married, with a 38 year gap in between. Unfortunately many of the exact dates in the Brontë story are unknown, so that we don’t know, for example, the exact date of birth of the eldest Brontë sibling Maria Brontë, nor the joint publication date of ‘Wuthering Heights’ and ‘Agnes Grey’. 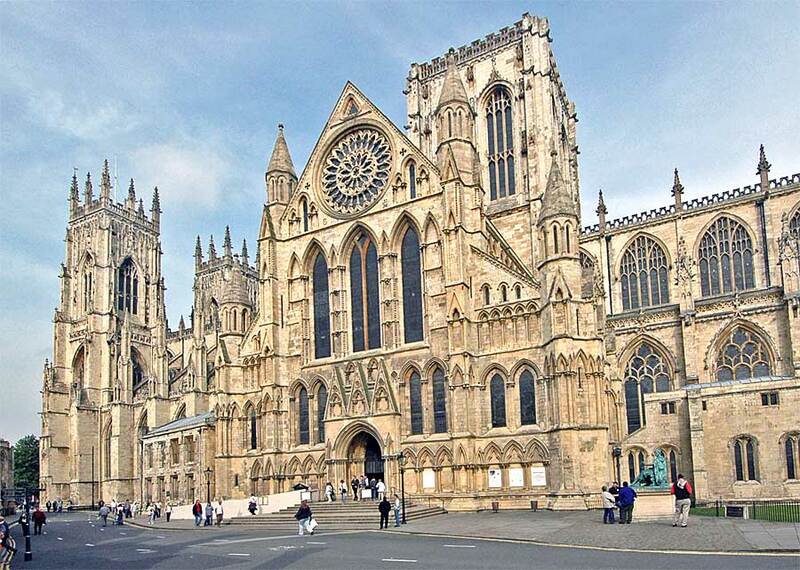 One event we do know the exact date of, however, happened on June 30th 1845 – it was a journey to York undertaken by Emily and Anne Brontë, and the two sisters viewed it rather differently, as can be seen in references to it, and absences of references to it, within their individual diary papers of that year. There are six diary papers in existence, the 1834 and 1837 papers are written jointly by Emily and Anne, whilst in 1841 and 1845 they each write one separately, with the intention that they are opened on Emily’s birthday three or four years later. 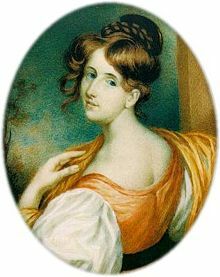 In her 1845 diary paper, dated 30th July (her 27th birthday) she writes that the papers are intended to be opened in 1848, but we have no new diary papers for that year – they could now be lost, or it could be an external factor such as Branwell’s deteriorating health prevented them from ever being penned. This is a very upbeat recollection of a happy few days by Emily, spent in the company of the sister she loved more than anything in the world. It is also in contrast to the image many have of Emily as being relentlessly dour, and in support of a cheerful Emily we also have Ellen Nussey’s account of how she liked to play tricks on people and then laugh uproariously. Undoubtedly, Anne is at least partly here hinting at flirtations, if not necessarily a full blown love affair, between her mistress Lydia Robinson and Branwell, whom she had secured a job there in 1843. Anne was also doubtless ruing that she would not see Scarborough that summer, or as far as she knew ever again, the east coast resort she loved and that she usually travelled to in July with the Robinson family. This was a time of transition for Anne Brontë, but with the ever faithful and ever loving Emily Brontë by her side to cheer her up, it would eventually become an incredibly creative one. The girls, with older sister Charlotte, were about to embark upon writing some of the greatest books the world has ever seen.